Jack Morton was born and raised in South Paris, Maine. Before coming to the University of Miami, he attended boarding school in his home state, where he met students from all around the world. His three roommates alone were from Shanghai, Madrid, and Mexico City. 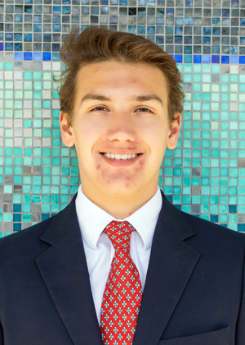 During his college search, Jack was attracted to the diversity and favorable climate that the city of Miami had to offer. He is currently a member of the University of Miami’s class of 2021, majoring in Management within the School of Business Administration. While studying at UM, he hopes to learn more about entrepreneurship and startups in order to work towards his life dream of starting his own business. During his time at the Center for the Humanities, he has met many people coming from various backgrounds. Jack enjoys hearing the views and perspective each guest professor and lecturer has to offer. He has learned many new things that he has been able to apply to his own life and will stay with him long after he graduates.